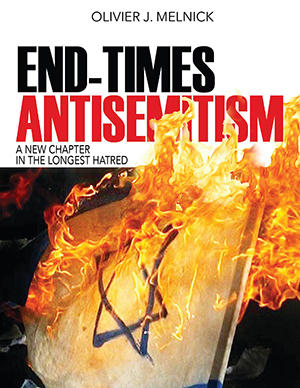 You are here: Home / Antisemitism / Bibi’s Miraculous Landslide Victory Will Help Identify his Enemies! In listening to the media and a majority of political analysts, Benjamin Netanyahu had a tough road ahead in the 2015 Israeli elections. So when his Likud party won 30 seats (six seats ahead of Herzog’s Zionist Union party), it was a bit of a surprise for most and even a shock for some. Netanyahu’s victory could be considered a landslide victory, but certainly must be considered a miraculous victory. For the next few years, Israel will continue to thrive under the leadership of one of the strongest Prime Minister in her history. Bibi’s victory doesn’t make everybody happy, especially after some of the announcements he made hours prior to the elections. His enemies will be quick to denounce and criticize him and his agenda. At the top of the list we can obviously find the Palestinian Authority and Hamas doing everything in their power to delegitimize Israel. The PA continues to apply pressure at the International Criminal Court in The Hague to force them to investigate possible war crimes during the 2014 Gaza War. Chief Palestinian negotiator Saeb Erekat declared:“It is clear that Prime Minister Benjamin Netanyahu will form the next government, and for that, we say clearly that we will go to The Hague tribunal, we will accelerate, continue and intensify.” This is a despicable move akin to accusing Jews of crimes against humanity during the Warsaw Ghetto uprising against the Nazis. Hamas has also called for renewed confrontations with Israel…No surprise there! Another disappointed enemy is the leader of Zionist Union Isaac Herzog who many had seen as a serious contender in the race for the Knesset. Herzog finally conceded and congratulated Bibi on his victory. The Israeli government is a complicated political machine. The Knesset demands that the ruling party would form a coalition with other parties since 61 seats are required for a majority over its 120 seats. No party has ever won with a majority in Israel’s 67 years of history. Very often the votes are so close that coalition governments are formed with members of the two parties who were competing for the win only the night before. But this time, with 30 seats, Netanyahu finds himself in a majority position from the start, allowing him to form a government much more center-right than ever before. This is a bigger defeat for the Left in Israel. Netanyahu will certainly gain more power from the get go. Herzog campaigned on issues that he thought were attractive to Israelis like renewed talks with the Palestinians towards a Palestinian state, a strengthening of US/Israel relations, and a change in Israel’s economy bridging the gap between classes. He wanted to bring “Change” to Israel. I think that someone, somewhere already tried that same socialistic ideology and it failed! As it turned out, Israeli voters were much more interested in the security of their country than the economy of their country. After all how good is a rebounding economy in a country that would be opening its doors to people determined to kill all the Jews. Security over economy doesn’t mean that Netanyahu will not work towards a better Israel economically, but as he has said numerous times and repeated at his address to the US congress, the security of Israel’s people is first and foremost. Many international leaders are worried about Bibi’s last minute shift to the right to garner the necessary votes from ultra-nationalist factions. They feel that it will only exacerbate the Palestinians and further bury the prospect of any peace in the Middle East. What they really fail to understand is that a more socialistic party like that of Isaac Herzog would facilitate the emergence of a group of people who have absolutely no interest in a two-state solution. They might hypocritically pretend to be open to the idea, but that is only until they have gained enough power to completely annihilate the Jews. Mr. Herzog idealistic vision is obviously blinded by his liberal leanings. And then of course, there is the leader of the “United Welfare States of America”, Barack Obama! While many heads of states will personally call Netanyahu to congratulate him on the Likud’s victory, Mr. Obama gave the task to a White House aid who congratulated Israel without any mention of Netanyahu or the Likud. Some will accuse me of pettiness, but the least that our President could have done was to call Netanyahu in person. Then again, coming from the same man who chose to snub Bibi’s recent congress speech, it shouldn’t surprise us. What a shame! Relations between America and Israel are tense and fragile at best. There are still many Americans who support the Jewish state. We might expect that the already strained relations between Netanyahu and the White House could lead to a political divorce. The one positive aspect of this win is that Netanyahu will outlive Obama in office and could very well regain a respected position with the next US administration. So it would appear that Mr. Netanyahu has many enemies to contend with, within and without Israel. Physical rockets will continue to fall over Israel as will the verbal rockets from the liberals, the current US administration and the media. In the meantime, I believe that Bibi’s victory will ensure the best approach to Israel’s security. The road ahead is a rocky one and would greatly benefit from the prayer of the friends of Israel. 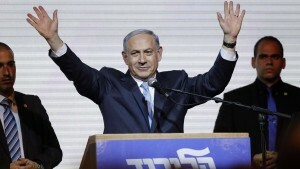 Congratulation Mr. Prime Minister, my prayers are with you and Israel! Very thankful for this victory. It’s not just a victory for Israel. It’s for the safety of the entire World. God will not let Israel be destroyed. So thankful that He never slumbers or sleeps! Those that live in Israel know that Bibi’s speech before the US Congress could have been political suicide for him. He gave it a day before Purim and gave a lesson about Purim before Congress. It was about Iran. Iran is the elephant in the room. He came before Congress for help for His people as Esther did.